The World Health Organization’s campaign to eradicate poliomyelitis made impressive inroads in 2012: only 212 cases were reported, compared with 620 the previous year; moreover, India remained polio-free. The dark side of this story is that as wild polio is eliminated, vaccine-associated poliomyelitis moves in to take its place. The landmark decision by WHO to replace the infectious, type 2 Sabin poliovaccine with inactivated vaccine is an important step towards eliminating vaccine-associated polio. A known side effect of the Sabin poliovirus vaccines, which are taken orally and replicate in the intestine, is vaccine-associated poliomyelitis. During the years that the Sabin poliovirus vaccines (also called oral poliovirus vaccine, or OPV) were used in the US, cases of poliomyelitis caused by vaccine-derived polioviruses (VDPV) occurred at a rate of about 1 per 1.4 million vaccine doses, or 7-8 per year. Once the disease was eradicated from the US in 1979, the only cases of polio were caused by VDPVs. For this reason the US switched to the Salk inactivated poliovirus vaccine (IPV) in 2000. The main vaccine used by WHO in the global eradication effort has been a trivalent preparation comprising all three serotypes. When type 2 poliovirus was eradicated in 1999, many countries began immunizing only against types 1 and 3 poliovirus. As a consequence of this immunization strategy, population immunity to type 2 poliovirus declined. This switch, together with poor routine immunization coverage in some areas, has lead to polio outbreaks caused by cVDPV2 in countries such as Pakistan. Dove and Racaniello believe that the reliance of the WHO on the live Sabin oral poliovirus vaccine (OPV) means that there will be a continuing threat of release of potentially pathogenic virus into the environment. They therefore recommend a switch to the inactivated polio vaccine (IPV). In response, Hull and Aylward explain why a switch from OPV is not necessary and describe the studies being sponsored by the WHO to determine how and when immunization can safely be ended. There is no way it is going to come about and as an end-game strategy it is dreaming to believe that this is reasonable. So, it is just not on. Apparently I was not dreaming: in May 2012 the 65th World Health Assembly requested that the Director-General “coordinate with all relevant partners, including vaccine manufacturers, to promote the research, production and supply of vaccines, in particular inactivated polio vaccines, in order to enhance their affordability, effectiveness and accessibility”. Later last year the Strategic Advisory Group of Experts on immunization (SAGE) called for a global switch from trivalent to bivalent OPV, eliminating the type 2 component. To ensure that circulating type 2 VDPVs do not pose a threat, SAGE also recommended that all countries introduce at least one dose of inactivated poliovaccine. This decision was announced in the 4 January 2013 Weekly Epidemiological Record (pdf). The fact that WHO believes it is necessary to switch from type 2 OPV to IPV surely means that in the future, when types 1 and 3 polioviruses are eradicated, types 1 and 3 OPV will be replaced with IPV. This is the correct endgame strategy for eradicating polio. Once circulating VDPVs are no longer detectable on the planet – something that will probably not happen before 2020 – then we may safely stop immunization with IPV. 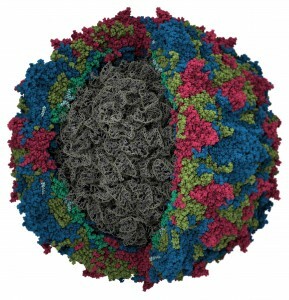 Poliovirus image courtesy of Jason Roberts. Based on my resarch, I have arrived at the inevitable conclusion that vaccines have never prevented anything apart from health, sanity and common sense and that vaccination is in fact an organised criminal enterprise dressed up as disease prevention by means of junk science. As far as I am concerned, the entire vaccine industry needs to be shut down to keep us and our children safe from the predations of the medical-pharmaceutical mafia and to help this planet return to some semblance of sanity. The experiment that you propose – to stop immunization against infectious disease – has already been done. In the pre-vaccine era, millions died from smallpox, measles, and other microbial infections. Vaccines are preventives which are been given to prevent the coming diseases and these are also helpful in other harmful diseases as they will help us in protecting us from different diseases. Therefore world health organization has switched to type 2 inactivated polio virus vaccine which will in preventive polio.